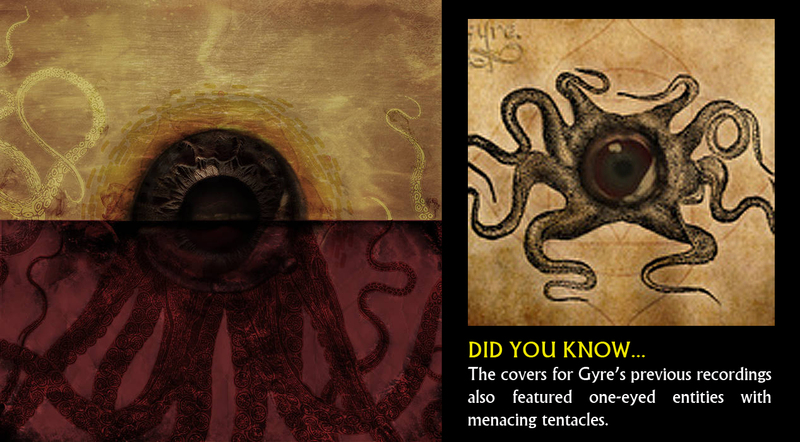 And Justice For Art: OF TENTACLES AND ANIMALS: THE MAKING OF GYRE'S "MOIRAI" EP COVER ART. OF TENTACLES AND ANIMALS: THE MAKING OF GYRE'S "MOIRAI" EP COVER ART. Gyre is a band that, little by little, has been building a solid musical reputation as fine purveyors of modern extreme/prog Metal. Their latest (and for some finest) recording effort is the EP titled "Moirai." 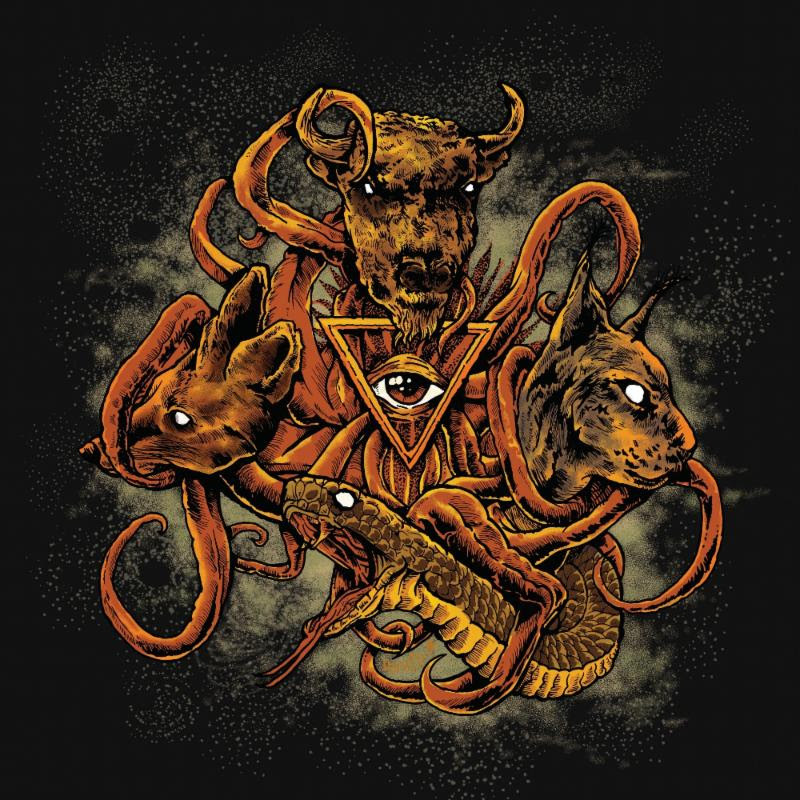 This new material showcases the American collective as it most sonically aggressive and comes accompanied by a cover artwork rich in cryptic animal iconography. In the following interview, bassist Ian McCartney, reveals the details behind the creation of this cryptic visual by American illustrator, David Paul Seymour. AJFA: Would you consider this new EP as the band's most important recording to date? Ian McCartney: We think all our releases are very important to Gyre’s musical development. For this EP, we conscientiously tried to create and do what came naturally to the song while it was being created. I believe we became better at recognizing when a song needed to breath, when a song needed a bridge, when a song needed to rock and when a song just needed to roll. It comes down to understanding what the song is calling for as you're creating it. AJFA: Who came up with the concept for the cover artwork? Ian McCartney: As with most of the things we create, the idea for the cover was a collective endeavor. 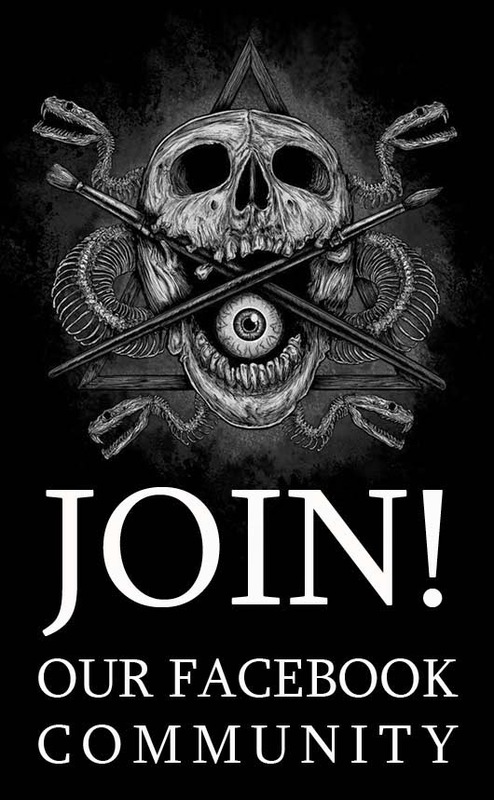 AJFA: How did illustrator David Paul Seymour become involved with project and why did you choose him for the artwork's design? Ian McCartney: I had been researching different artists through Instagram, looking at other bands artwork and ran across David’s work. The two things that instantly drew me to his work were the ‘70s feel/vibe/undertone to a lot of his art and the detail. He was one of the first people we reached out to and his willingness to breathe life to our idea and consistency of communication sold us. AJFA: This artwork is both intriguing and appealing. What's the meaning behind this mingling of animals and cryptic imagery? Ian McCartney: The triangle with the dot in the middle is a very old symbol that represents the womb, the primordial Goddess, bringer of life. The dot in the center represents creation. It is also part of the third chakra, the manipura (which correlates with our first two albums covers that have the first two chakras represented within them). This third chakra represents the origin of your confidence, your willpower and determination. The energy of this chakra is thought to allow you to transform inertia into action and movement. It allows you to meet challenges and move forward in your life. The animals represent our individual wills, wants and desires. They are trying to break away from the cycle of birth, life and death or Moirai (the sisters of fate in Greek mythology) that rule over the lives and deaths of gods and men, alike. The tentacles are symbols of the Moirai’s inescapable control over our fate no matter how much we yearn, work and desire. In essence, the triangle represents creation (Clotho), the animals represent life and the will to live (Lachesis), and the tentacles represent our inevitable end (Atropos). AJFA: How does this image represent the EP’s music and lyrics? Ian McCartney: All of the lyrics on this album, in some way, connect with the idea of determination, willpower and trying to get as much done with the time we have here - fighting against the inevitability of death. No matter how much we struggle against the inevitable - the inevitable will eventually come to be, so learn and create as much as you can with the gifts and time you were given. AJFA: Besides the eye, the presence of tentacles reminds of the previous EPs cover arts. Was that a way to relate all your recordings? Ian McCartney: Yes, the tentacles are a theme we have intentionally included in all our releases. As stated before, they are a representation of our most base survival instincts to live and keep living, but also, the ultimate and inescapable fate of all that does live.